Today the 8th episode of the topic Meet the Person. This topic Meet the Person is about passionate people, people in the denim industry with a clear focus, mind-set and initiatives. In Meet the Person I will give you an insight into their life; who are they, what are they doing, what makes them so special, where are they working on, etc. etc. 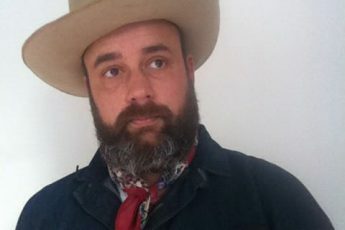 The 8hth episode of Meet the Person is with Moritz Fuchs, founder New Heritage Festival. 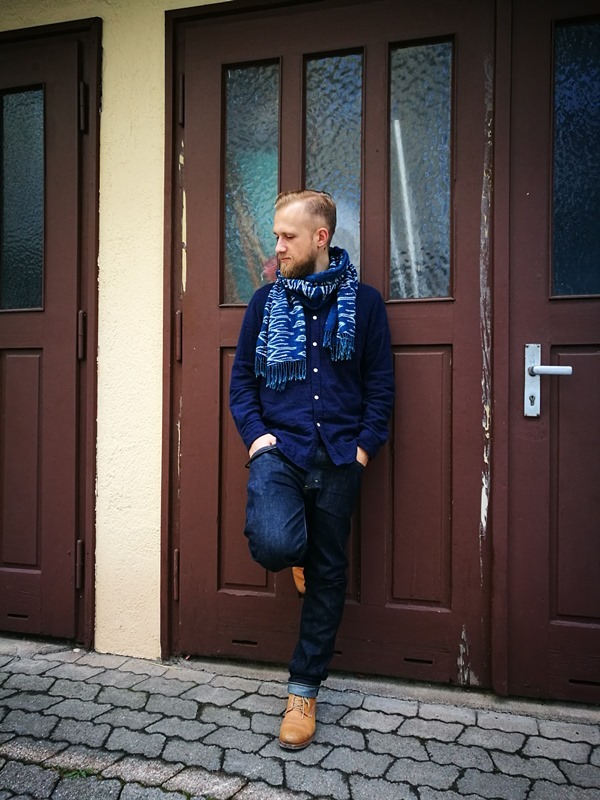 Thanks for sharing your story Moritz Fuchs! I’m Moritz Fuchs from Munich and I’m working in the event branche. For several years now, I have been engaged on sustainability through quality. I am enthusiastic about small manufactories and their stories. Through my event New Heritage – Festival for Timelessness I’m trying to unite them for a weekend in one place to give them the platform they deserve. At the age of 16, I had my first job in my home town (Nuremberg) in a jeans store. While working in this store I came in touch with high-quality and durable products. Now I’m living in Munich where stores as Gasoline Alley and Statement are located which feed me with the blue virus. Always keeping my eyes open for exciting brands, goods and topics and planning our next New Heritage – Festival for Timelessness events in Düsseldorf and Munich. I’m very proud of having set up the New Heritage Festival. It gives me the chance to make people understand the idea of quality through sustainability. It’s quite simple: high-quality products are manufactured with care, accurateness and high-value raw materials. That often ensures a long product life and gives you products with character and heritage. 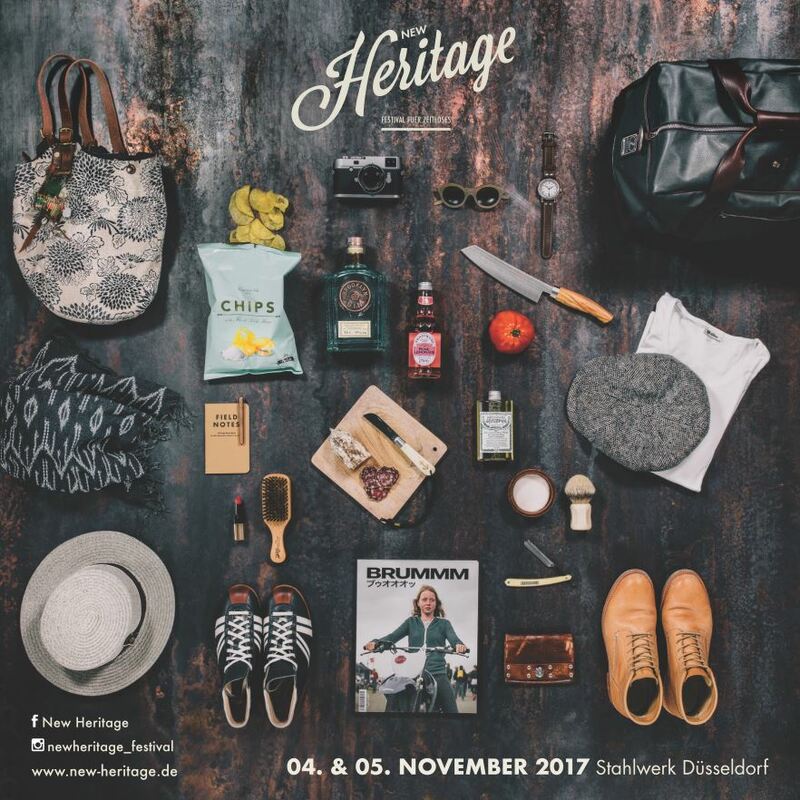 Upcoming edition of New Heritage – Festival for Timelessness: 4 & 5 November 2017 in Düsseldorf – DE. Read all the details here. I am rather the classic type. I do not really see a real trend. But I do realize that meanwhile there is an enormous diversity and more and more people are taking an interest in (raw) denim. One of the favorite outfits from Moritz Fuchs; Double denim with a pair of Butts and Shoulders boots. What I see is that more and more people really appreciate the establishment of small brands, such as SAAT or Ruttloff Jeans. 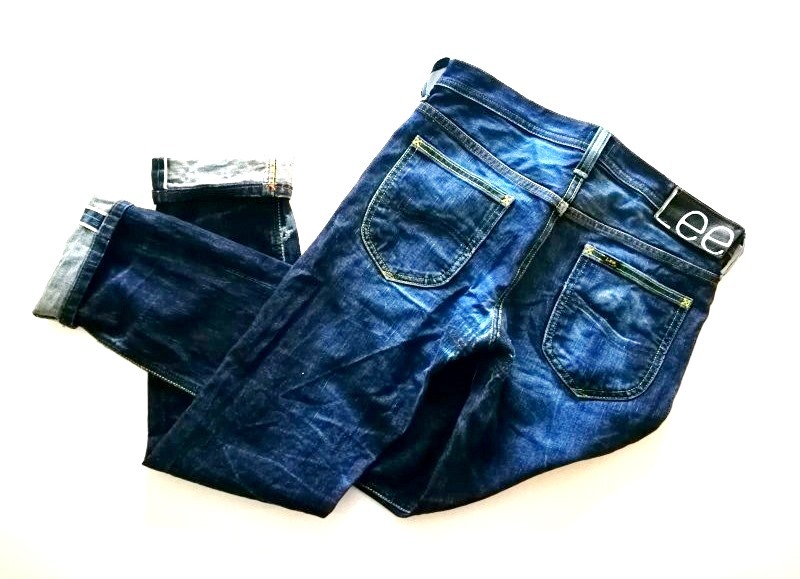 One clearly sees their own language and their own handling with denim materials. Individualization and tailoring are also topics which, fortunately, are becoming increasingly strong. 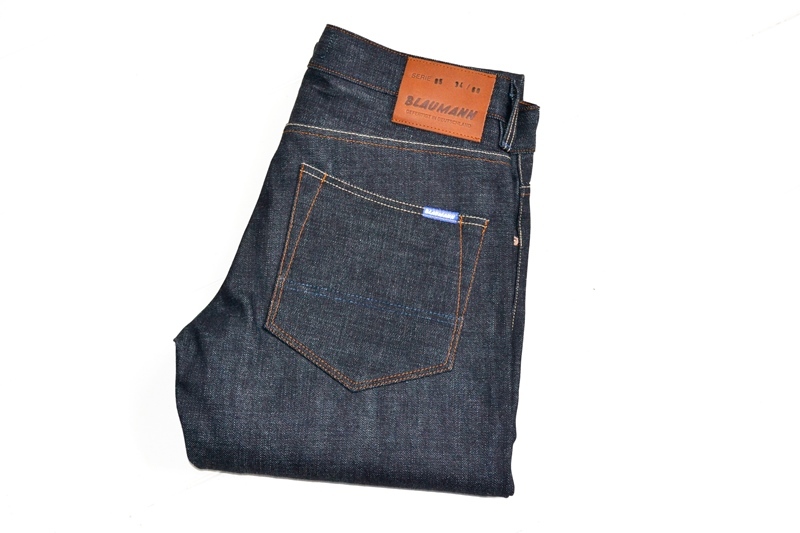 For the everyday life it is the pants of Blaumann Jeanshosen, which are simple and of a great quality. Their jeans are totally made in Germany, which is very outstanding. Wearing the jeans makes it more special when you know the guys and the history behind it. Samurai blows my mind every time. Their love of details and their choices of fabrics are so great. Even though they do not lose their classical style. 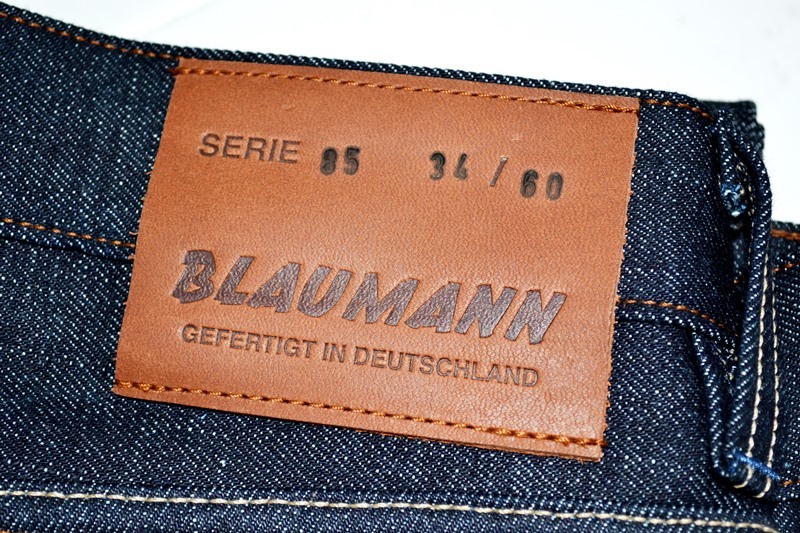 Read the Blaumann Jeanshosen story here. I love nature and quiet moments. The view at a lake and mountain are the best for me to switch off my mind and create space for new ideas. 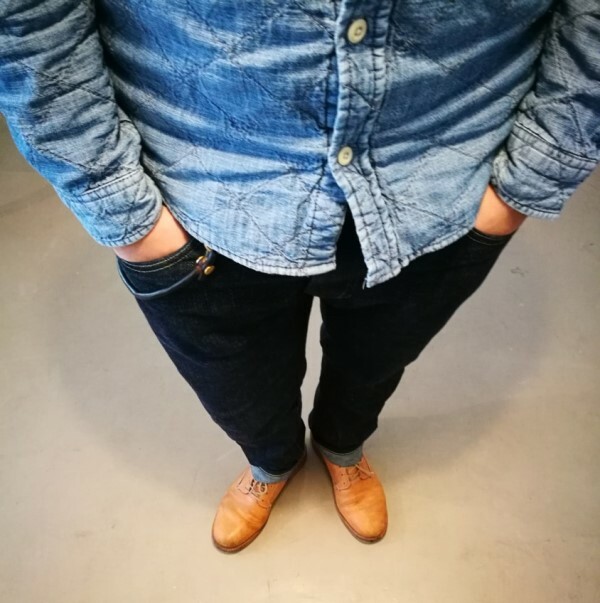 My first raw denim jeans by Lee 101 Jeans. 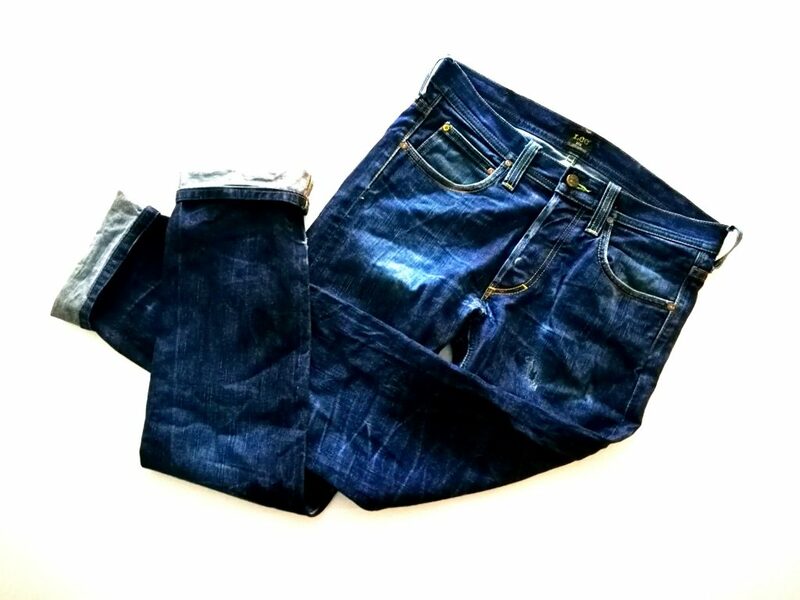 The jeans is repaired a lot of times. I have a special relationship with these pants, even if I don’t wear them so often anymore. I’ve never been there yet, but regarding denim Okayama in Japan is very far ahead. Recently I’m stoked about SAAT Munich. I like their combination of classic, traditional and new cuts. The hidden rivets. First they were invented to protect the horse saddles and now they protect our motorcycle saddles. Ruedi Karrer (a.k.a. 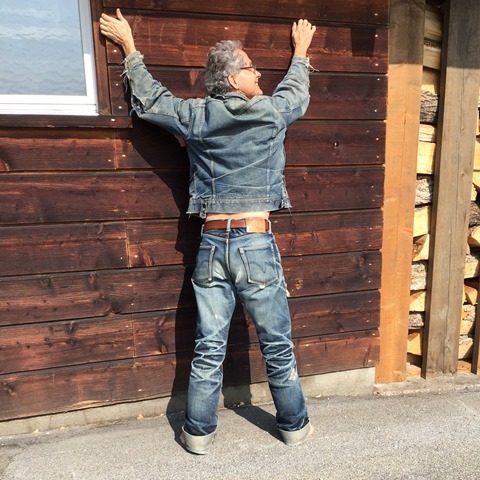 Swiss Jeansfreak) from the Zurich based Jeans Museum. He can really infect everyone with the denim virus. 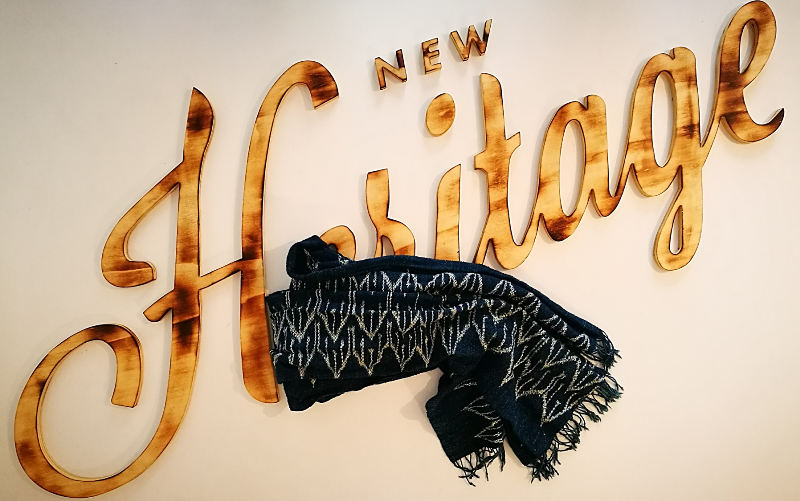 Meeting him is always a highlight and that’s why I am very pleased that he will join us again at the New Heritage Festival to give workshops and teach people interesting facts about denim. Ruedi Karrer. 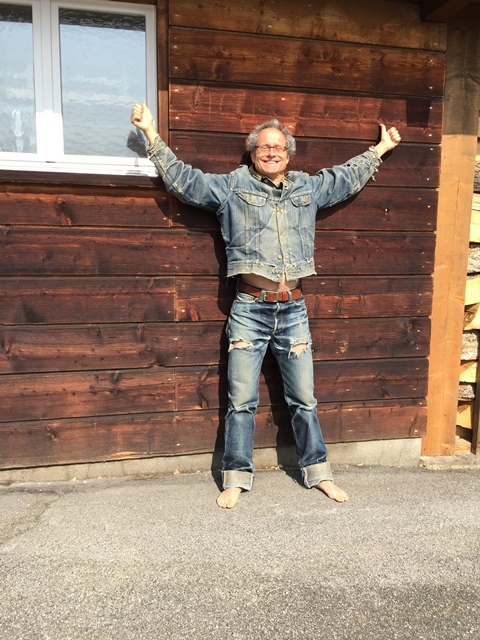 Read the story from Ruedi and explore his Jeans Museum in Meet the Collector #6 here. 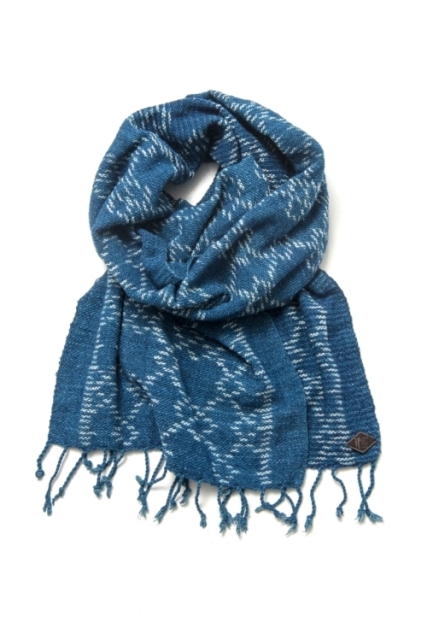 It is not a denim product, but the scarves of Indigo People complement my outfits very well. No one is born a master! I have several people in mind. Thorsten and Sajna from SAAT, Atsushi Matsushima from Clutch Magazine or Josh from Statement Store. In Munich their are a lot of interesting people, so there is definitely still a lot to tell.